A few multi-tool products pop up on fundraising sites like Kickstarter each week, and most of them are pretty gimmicky, or similar to one another. This one stands out. 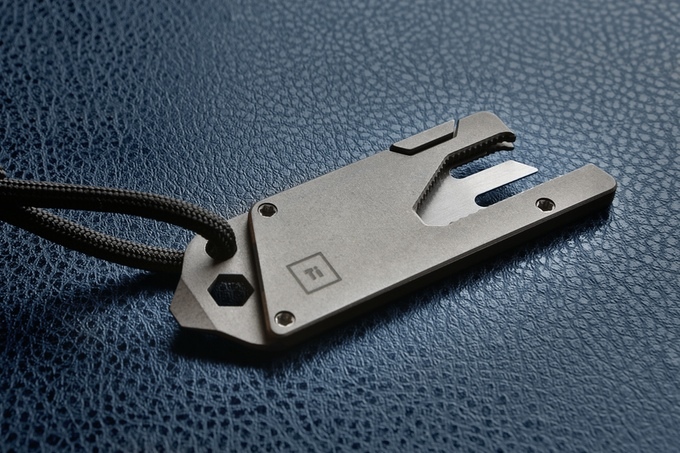 The Titanium Pocket Tool (TPT) brings a breath of fresh air to the multi-tool conversation. It stands apart as a re-design of the ubiquitous utility knife, a product that, while much needed, has seen few design changes over the years. The TPT has a similar shape to a hardware store utility knife, but its milled-out core has a bunch of functions beyond holding and storing the blade. For starters, the tool has a “universal” wrench milled-out of the center of the titanium body of the tool. It works on 15 metric sizes, which should be enough to do emergency fixes on all kinds of gear. Next is a 1/4″ hex driver on one end, useful for driving screwdriver (or many other) bits. That same end houses a flathead screwdriver and prying edge. A one-inch measure is built onto one side, opposite a scraper. The product ships with a “finger safe” insert, which is basically a dulled razor blade with a fork built into one side. This can be removed and replaced with an actual razor blade for utility work. The whole package is just 4mm thick and three inches long. It weighs .84 ounces and has an internal magnet that keeps the blade from rattling and allows the entire device to be stuck to metal surfaces for easy storage. 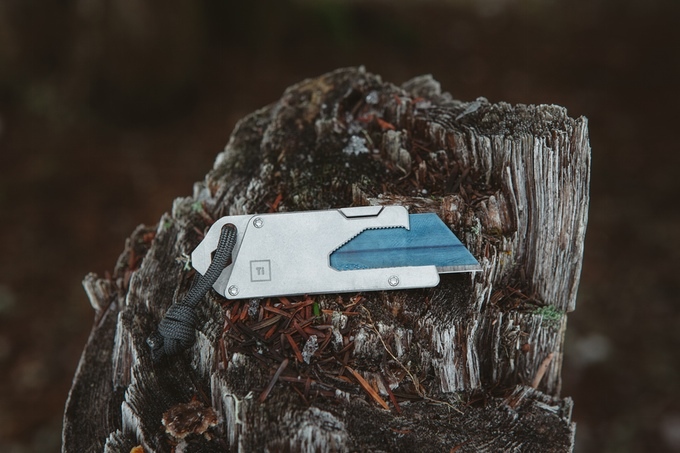 For the person who would like to carry a small package of tools and a blade that’s barely noticeable in the pocket, this is an interesting new option. It’s modestly priced, with options from $40 to $50 on Kickstarter now. If you’re looking for a unique addition to your EDC options, this is one worth looking at.